This is a 1947-48 Ford cap for 14-16 inch Smoothie wheel. This Smoothie Hubcap has a 7 1/2 inch back inside diameter. 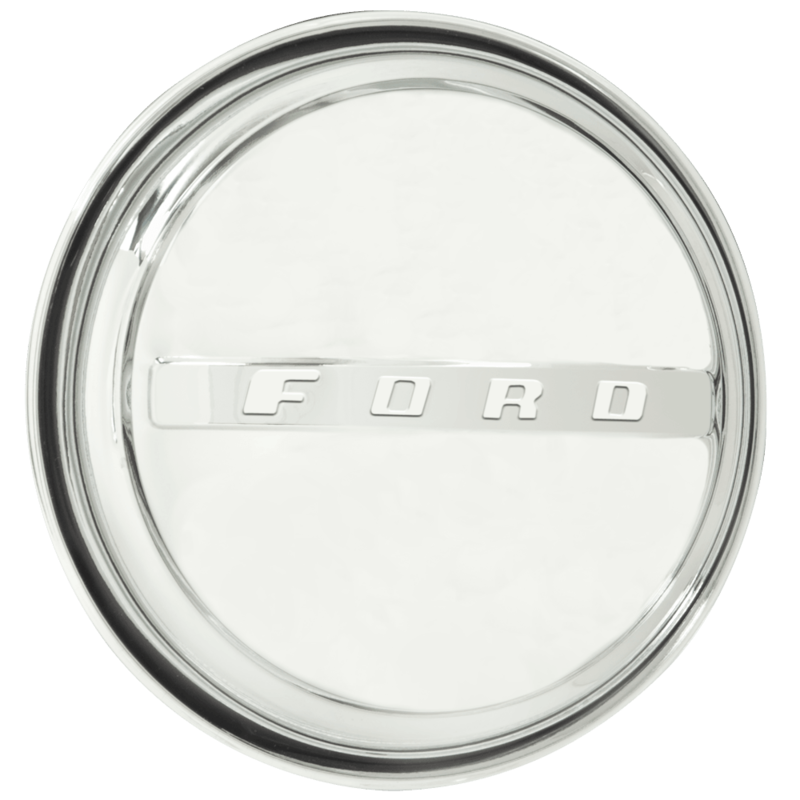 These 1947-48 Ford style Smoothie center caps are correct fitment for our 14-16 inch Smoothie wheels. Please check your actual wheels required cap fitment size. 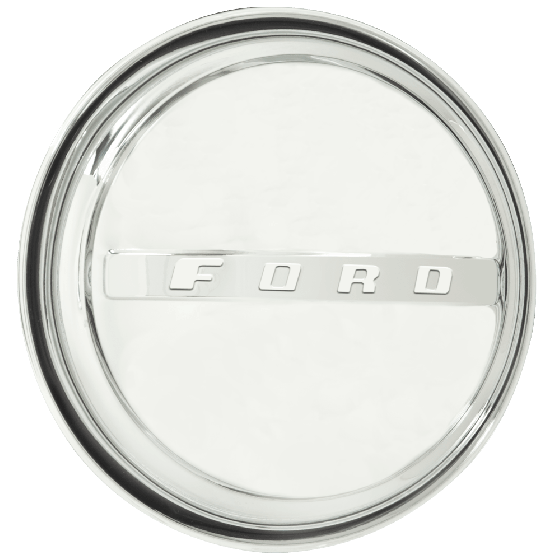 Does this style center cap come in a 7-1/2" id for a 3 bump steel wheel? This cap has a 7 1/2 inch back inside diameter and is compatible with wheels that require 7 1/2 inch back diameter caps. Yes, these are in stock and ready to ship! My wheels are Artillery 15x8 US Mag Wheels. The hub caps that they sold me measured 8 1/4 outside diameter on the back flange. I think the Artillery wheels take a 7 1/2 outside diameter on the back flange. Will these smoothly caps work for these wheels. Our Smoothie and Artillery wheels use a 7 1/2" inch back inside diameter cap. If you have inside nubs on your wheel, measuring 7 1/2" across, then these caps should be compatible.